No one saw the killer strike, but a young man was seen leaving the club moments before the attack. The young man has no clear motive but Hogarth can’t let go of his suspicions. He decides to track down the youth… and discovers the motive for murder is far older, and far darker than he imagined. A dead man reappears as the darkest lies of two generations are exposed. One cop takes justice into her hands but another may pay the ultimate price. In a truly thrilling conclusion, DI Hogarth and his team race against time to stop a killer who watches their every move. And all whlle, DI Hogarth's secret threatens to explode. Perfect for fans of Angela Marsons, Ian Rankin, Val McDermid and Ruth Rendell, Helen Durrant, Joy Ellis and LJ Ross. If you love to read gripping detective thrillers with flawed characters and police procedurals with shocking twists and a noir flavour, then the DI Hogarth Darkest series is for you. 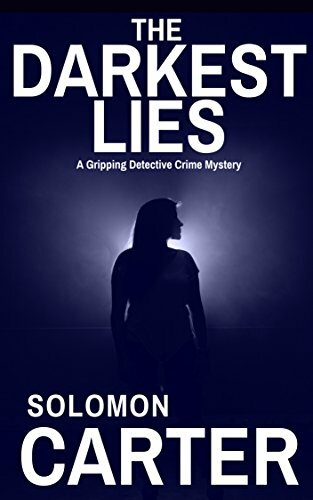 Readers have described the Darkest series as pefect for fans of British crime thrillers, Female detective novels, British crime mysteries, Police Procedurals, Heist thrillers and Noir Thrillers..